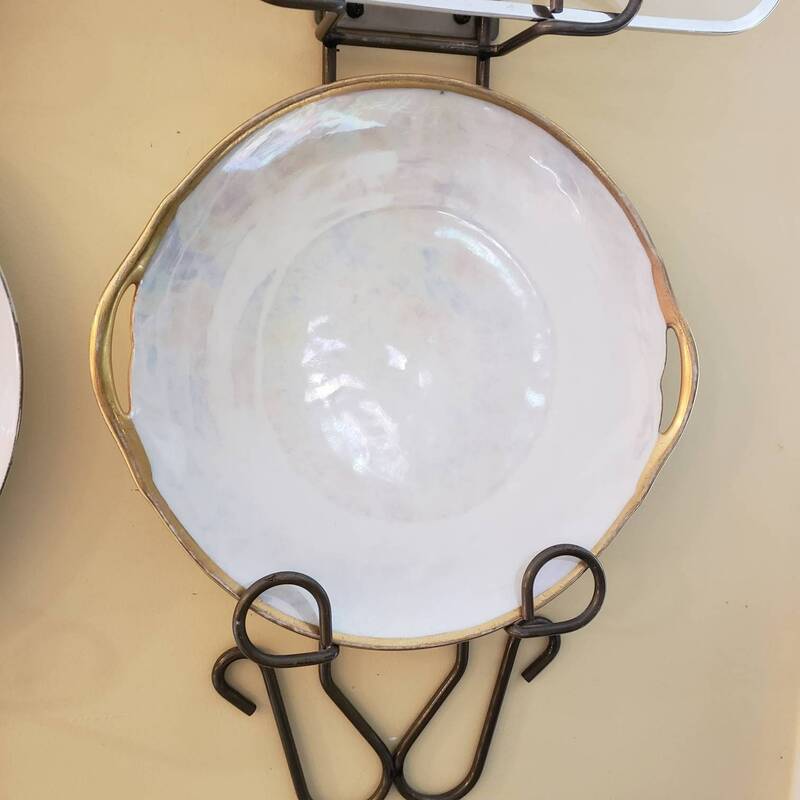 Decorative Mid Century European plate. 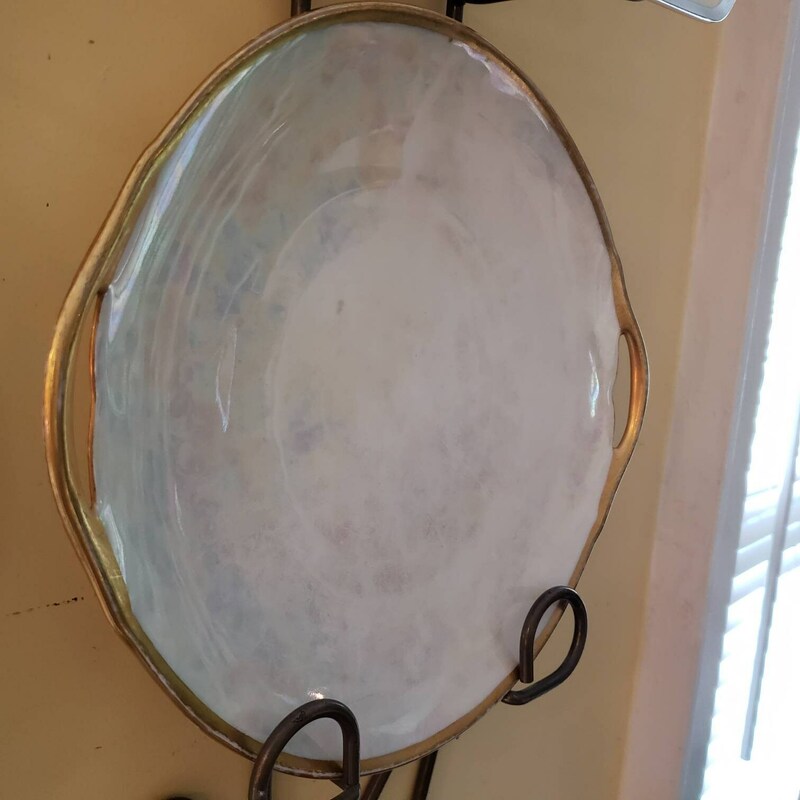 Lustreware finish, this piece may qualify as both lustreware in white, as well as opalescent due to its beautiful pearl colored finish. 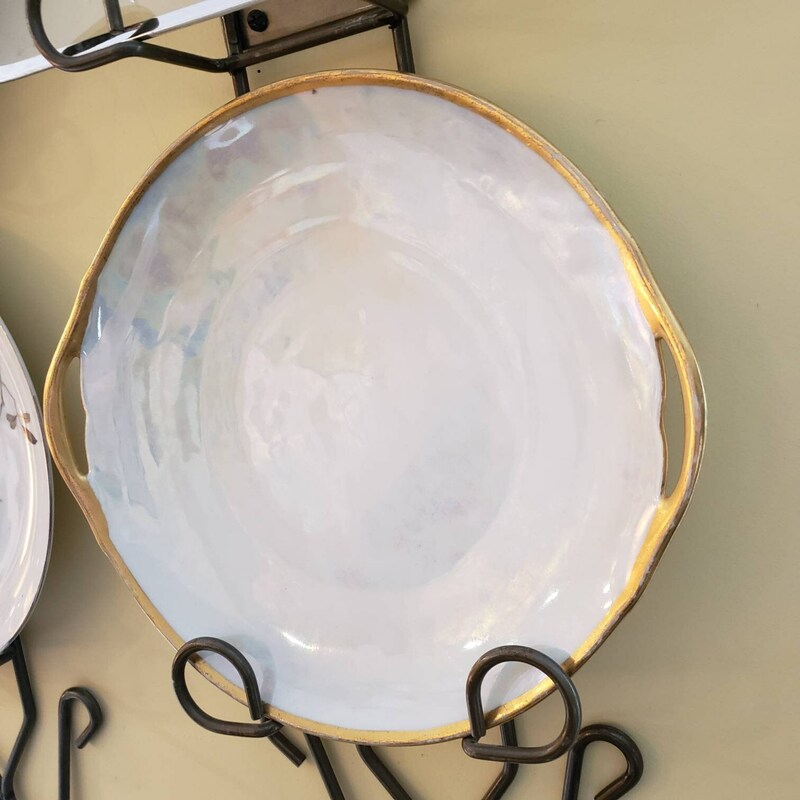 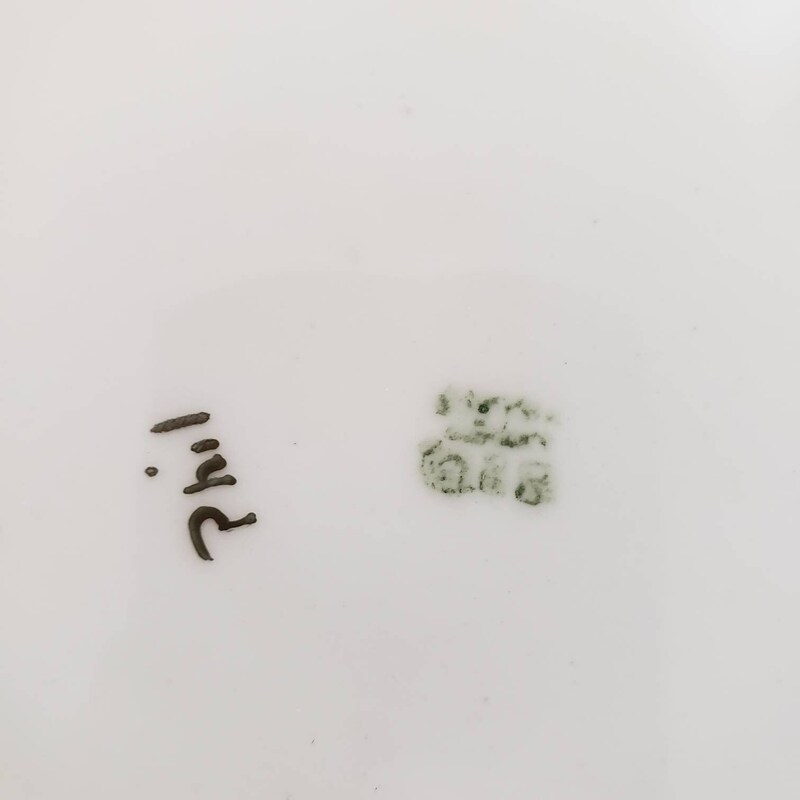 Gold rimmed with little "handles" makes this plate a true gem to have around! 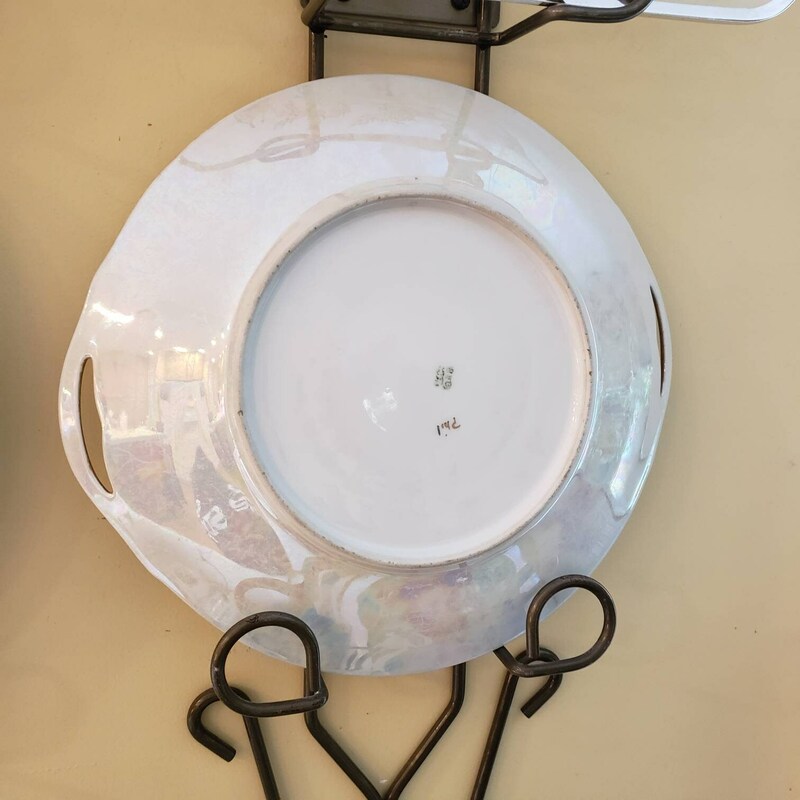 Perfect plate for serving on special occasions, dinner parties, and weddings.